Today perceptions matter every bit as much as reality. This is as true on the battlefield as at home. Information saturation means that traditional means of communication are insufficient. This challenges all large organisations, not least the British Army which must transform the way it communicates to keep pace and influence public perceptions. The Army enjoys enviable levels of public support, but is little understood. The Army issues a constant stream of information, but often not in timely manner, or in a format that reaches or resonates with the intended audience. We lag behind leading comparators in this field. As a result, we have initiated an aggressive and far-reaching programme to transform the way we communicate, including: launching the Army Brand; completing a review of internal communications in July, with a programme of changes scheduled for the autumn; the imminent publication of a Core Script to allow the Army to speak more clearly and with a unified voice; establishing an initiative to identify and exploit our best young communicators as Army spokespersons; and producing a new social media policy #DIGITALARMY which supports a range of measures to improve how the Army uses social media. 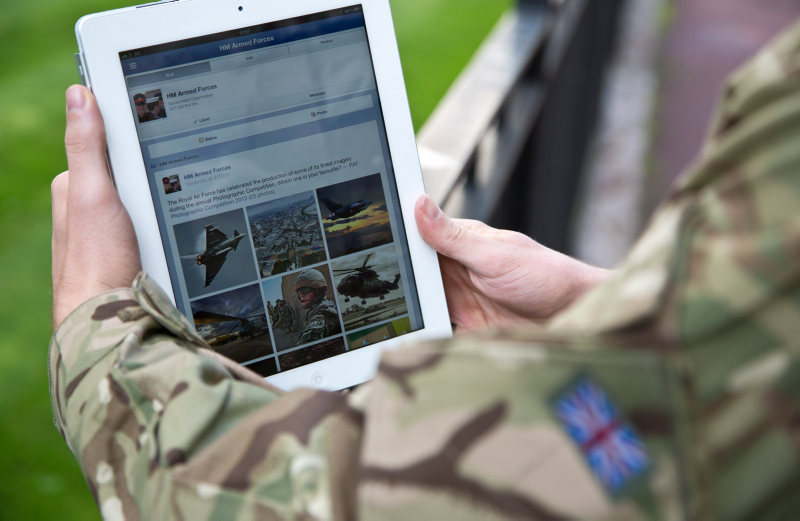 The next stage is an external communications review starting in September to improve the way the Army engages through the media, recognising that information echoes between internal and external audiences. The Army needs to communicate more proactively, exploiting opportunities, rather than being deterred by perceived threats and restrictions. Our officers and soldiers are natural communicators and the Army has an extraordinary story to tell; we should be more confident in doing so. The review will consult widely across the Army and beyond, not least on social media. Hopefully, many of the best ideas will come from junior officers and soldiers, and from active social media users. There are necessary Government and Defence policies and rules we must comply with, but there are great opportunities to exploit existing freedoms better. Only with free and innovative thinking will the Army keep pace with the communications opportunities to land our messages on operations and at home. So, what could the Army do better to exploit our existing communications freedoms? How should we use social and new emerging media to tell our story better? How can we communicate to reach parts of society who have no connection with and little understanding of the Army? What would good communications in the British Army look like? These are just some of the questions we must answer during the review. Step forward the Wavell Room to help stimulate the debate. Major General Rupert Jones CBE was appointed as Assistant Chief of the General Staff of the British Army in January 2018, which has been redesignated as Director Engagement and Communications in September 2018. 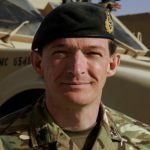 He has operational experience from numerous tours in Northern Ireland, Bosnia, Iraq and Afghanistan, as well as extensive experience on the staff.